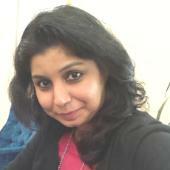 Neetu is a researcher and a teacher at the National Law School of India University (NLSIU), Bangalore, India. She has been working on the issue of right to food for more than 15 years. Before joining National Law School of India University, Bangalore about nine years ago, she has worked with various organizations working on child rights and on the issues concerning right to food in New Delhi. At National Law School, Bangalore, she has been constantly exploring the potential of law for ensuring access to rights and benefits fro the vulnerable groups. She has been engaged in research, field action, capacity building and advocacy on the issue pertaining to food security. She has several publications pertaining to right to food, livelihoods, and human rights to her credit. She has also served as Coordinator of a research centre at NLSIU and has also played the role of a Projects Manager that required her coordinating all the major projects of the Centre. Currently, she is exploring various aspects of food security through her research and the possible ways laws can be used in its various manifestations to ensure food security for the marginalized. As part of her engagement with the work on ethics and responsibilities, she has worked on mapping of the constitutional and legal framework of the South Asian countries to locate the responsibility quotient. The work is being expanded to look at the various facets of law and various ways through which it can be used for making responsibilities enforceable.